Getting a degree in games is so much more than just playtime. More colleges and universities in the U.S. offer courses and degrees in computer and videogame design and programming than previously. According to an Entertainment Software Association report, 385 U.S. colleges and universities now offer these programs and degrees, a small increase from the 381 universities last year. "Videogames are the fastest growing, most dynamic form of entertainment in the world today," Michael D. Gallagher, president and CEO of ESA, said in the ESA's news release. "These students are preparing to join an industry that creates interactive software, innovative hardware, and ecosystems that spawn new business models and online communities, transforming consumer experiences, spurring technological advancements, and impacting important areas including education, healthcare, and business." 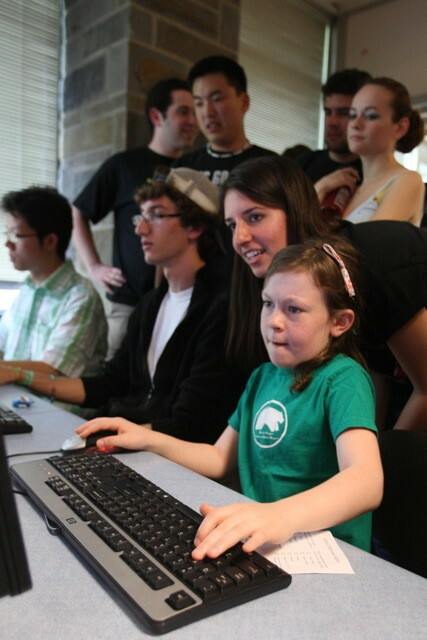 Dr. Scott Martin, founding director of the Computer and Game Design Program at George Mason University, said game design programs are the "most transformational areas of study" where students study the sciences and the arts and learn how to work in teams for project-based study. ESA also stated that this continuing increase in higher education programs underscores the growing demand to prepare middle and high school students in science and math fields. If more students were encouraged to learn about programming and design in secondary education, the demand for these programs in higher education would grow further. California is home to the most schools with higher study of videogame design, offering programs in 72 schools. Runner-ups include New York with 26 schools, Texas with 24, Florida with 23, and Illinois also with 23. ESA published a complete list of schools offering videogame courses and degrees, which can be filtered by state and by degree offered.